Two new iRobot Roomba devices are being launched, the iRobot Roomba 890 and Roomba 690 WiFi and prices for the devices start at $375 for the 690 model. The iRobot Roomba 690 will go on sale in retail stores in the US this quarter and the iRobot Roomba 890 will launch in at the end of Q2. With the iRobot HOME App, the Roomba 890 and Roomba 690 Wi-Fi connected vacuuming robots are ready to clean on demand from anywhere, anytime. Each model can be scheduled to clean up to seven times a week from the familiar mobile device interface, which is available for Android and iOS devices. The iRobot HOME App also provides information about cleaning status, customized tips and direct access to customer support. For those who feel like they’re in a never ending battle with pet hair, the Roomba 890 Wi-Fi connected vacuuming robot – like the company’s most advanced Roomba 900 Series vacuuming robots – features dual, counter-rotating Tangle-Free Extractors. These extractors are made of durable rubber tread that grabs dirt and hair from any floor type, while reducing hair tangles and brush maintenance. 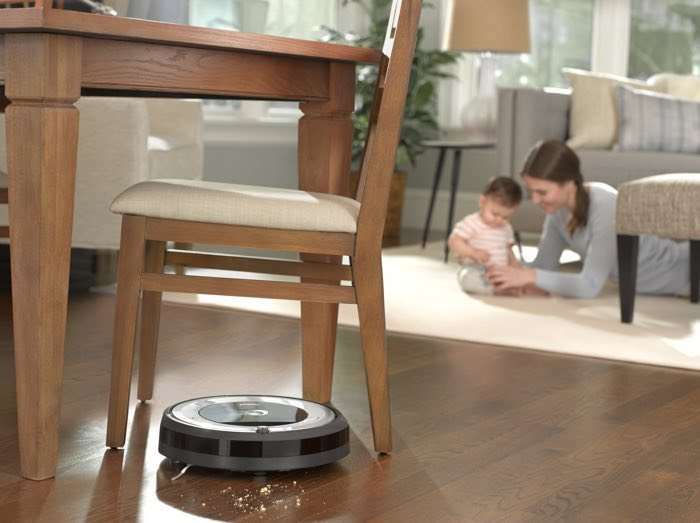 A full suite of sensors and low profile design enables the Roomba 890 to navigate under furniture and around clutter. A Gen 2 motor produces 5x the air power over previous generation Roomba vacuuming robots1, while the patented AeroForce 3-Stage Cleaning System uses a combination of agitation, extraction and suction to efficiently move dirt and debris from the floor to the dustbin. At the end of its cleaning job, Roomba 890 returns to its charging station to recharge. You can find out more details about these two new iRobot Roomba vacuum cleaners over at iRobot at the link below.